Welcome to the Lawrence Joel Veterans Memorial Coliseum, owned and operated by Wake Forest University. We are dedicated to providing the highest quality entertainment and services to the community and the ultimate guest experience for every patron. The following information is provided to assist guests as they prepare for any event at LJVM Coliseum. We are committed to serving the needs of all guests. Please find a comprehensive list of our accommodations and services here. Animals or pets of any kind are prohibited at LJVM Coliseum with the exception of leashed and/or harnessed service animals for guests with disabilities and/or special needs. If you intend to bring a service animal into the building, please contact the Guest Services Manager at (336) 758-2410 prior to your arrival. An ATM is located on the main concourse near Section 121. Baby changing stations are located in all restrooms in LJVM Coliseum. Advance ticketing services are available at the Wake Forest Ticket Office at Bridger Field House Monday through Friday from 8:30 am to 5:00 pm. The LJVM Coliseum Box Office does not provide advance ticketing services as hours vary by event. For more information, call (336) 758-3322. Commercial or professional flash photography is not permitted. All audio/visual equipment is prohibited unless given formal authorization by LJVM Coliseum staff. The admission policy for children varies by event. For Wake Forest Basketball games, children over the age of one (1) require a ticket. For special events, please call the Wake Forest Ticket Office at 1-888-758-DEAC or (336) 758-3322 with any questions. For a complete description and list of the Clear Bag Policy, please click here. LJVM Coliseum offers a wide variety of food and beverage options to enhance guest experience. No outside food or beverage is permitted in LJVM Coliseum and is subject to confiscation. More information about concessions and catering at LJVM Coliseum can be found here. LJVM Coliseum Guest Services welcomes all feedback, questions, and concerns from our guests. To contact us via e-mail, click here. For select events, all guests are subject to security screenings conducted by contracted personnel. These screens include, but are not limited to, metal detection, visual inspection, and bag checks. The purpose of these inspections is to detect and remove prohibited items from the venue. Should you encounter an emergency, please notify one of our staff members so we can assist you promptly. 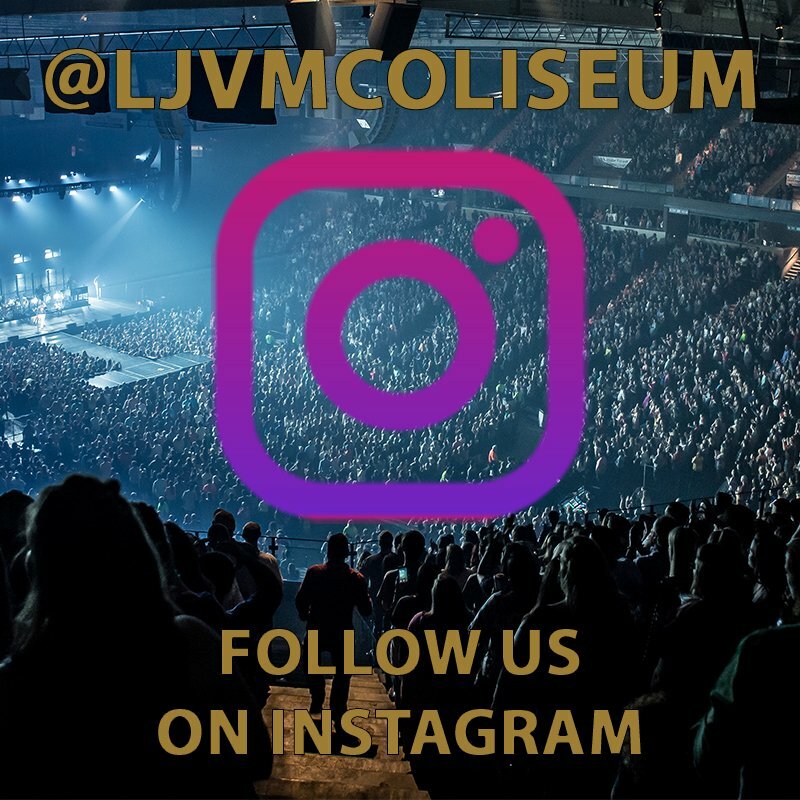 Select events at the LJVM Coliseum offer group discounts. For information on group sales for Wake Forest Men’s Basketball games, please contact Jon Hoban at (336) 758-4030. For information on group discounts for other events, please call (336) 373-7433. For hotel, restaurant, travel/transportation, or other local information, please contact the The Winston-Salem Convention & Visitors Bureau at (336) 728-4200 or email info@visitwinstonsalem.com. Additional information on hotels and dining can be found here. Laptops or any type of full personal computers are not permitted inside LJVM Coliseum. E-readers and iPads are considered a mobile device and are permissible. Should this issue occur prior to or following an event, please notify the nearest parking attendant. If there is no parking assistance, please call Wake Forest Campus Police at (336) 758-5591. Items found on the LJVM Coliseum premises during an event may be turned into the nearest staff or security member. All items will be retained for 60 days by administrative staff. Unclaimed items are donated to local charities. Please call (336) 758-2410 during normal business hours to check for lost items. The Deacon Detector program is a free service offered to guests at select LJVM Coliseum events that help separated children return to their families. LJVM Coliseum maintains a “no re-entry” policy during events. Select consumer shows and day-long sporting events permit re-entry with a hand stamp or alternate method of tracking. For Wake Forest University Athletic events, player and guest tickets are available at a special entrance located in the LJVM Coliseum lobby. Please be prepared to show ID to receive player/guest tickets. Please see our Admission Policy page for detailed information on prohibited items. LJVM Coliseum is a proud participant in the City of Winston-Salem’s recycling program. Recycling bins are located throughout the venue. Guests are encouraged to deposit all plastic bottles, newspapers, and cans in the designated bins. The re-sale of tickets on Wake Forest University properties is not permitted. Winston-Salem police and contracted security officers strictly enforce this policy on behalf of LJVM Coliseum and Wake Forest University Athletics. LJVM Coliseum is a smoke-free facility. Tobacco products, e-cigarettes, and vaporizers are not to be used inside the facility. Designated smoking patios are available outside Section 110-112 and Section 114-116. Stay tuned to @LJVMColiseum on Facebook, Twitter, & Instagram for event announcements, updates, & media! Guests are permitted to engage in tailgating activities in the LJVM Coliseum parking lot. Rules and guidelines can be found here. Please find our detailed contact information here. Online at Ticketmaster.com or WakeForestSports.com. Be Aware of Ticket Reseller Websites – Ticketmaster.com and WakeForestSports.com are the only authentic and official ticketing services for events at Wake Forest University and its facilities. Tickets purchased from alternative sources may be not authentic, over-priced, invalid, and/or not eligible for facility assistance. Wake Forest Athletics is not responsible for tickets purchased from third party vendors. Will Call is available at LJVM Coliseum prior to every ticketed event. Hours will vary for this service. Guests who have ordered tickets online may pick up their tickets with a government issued ID and the credit card used to pay for the tickets. Ticket holder name must match these forms of identification.